A step change in technology giving a significantly less hazardous product than traditional acid etch cleaners. It is far easier both to use and to clean up. 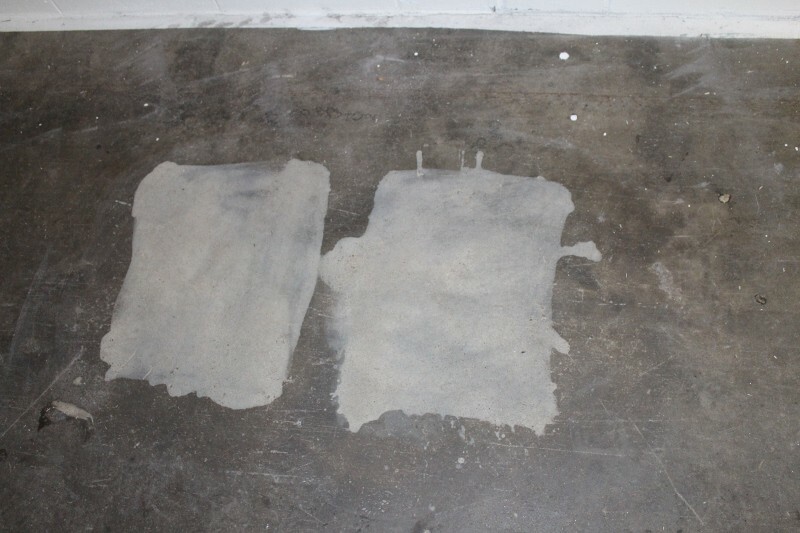 Magic Bullet’s ‘Eco-Acid’ (EAR) is a natural organic salt based product, designed to replace the strong acids traditionally used to clean walls, floors and other surfaces. Ideal for concrete, brick, statues and monuments. 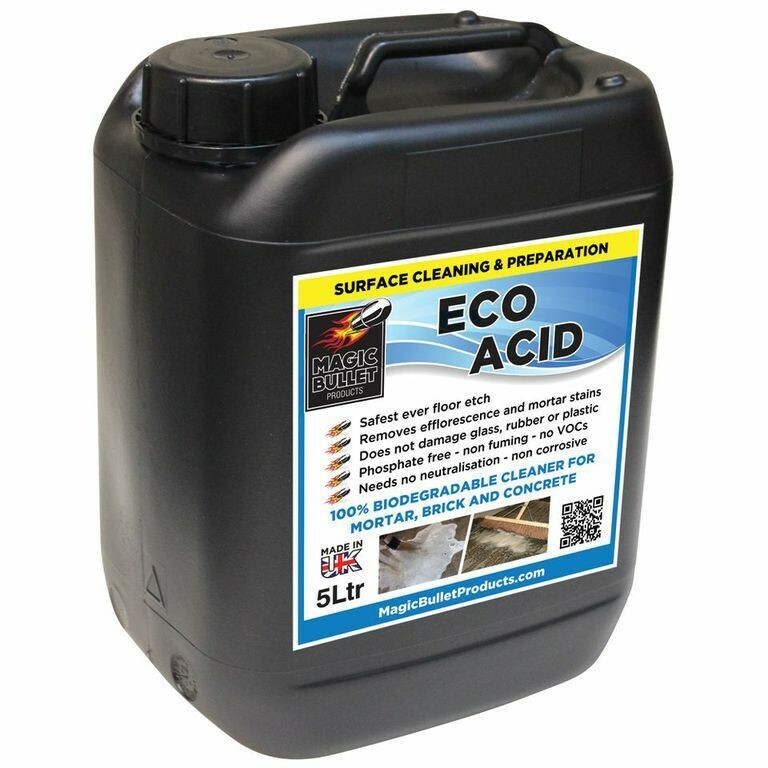 ‘Eco-Acid’ will remove mortar, cement, scale, efflorescence, rust staining, atmospheric contamination and dirt from glass, rubber and plastic without causing damage. It can be used safely indoors and out. 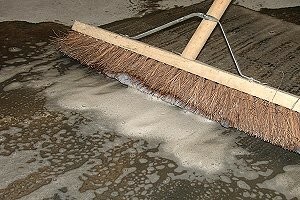 Can be used as a stand-alone cleaning product or as a superb preparation tool prior to painting. 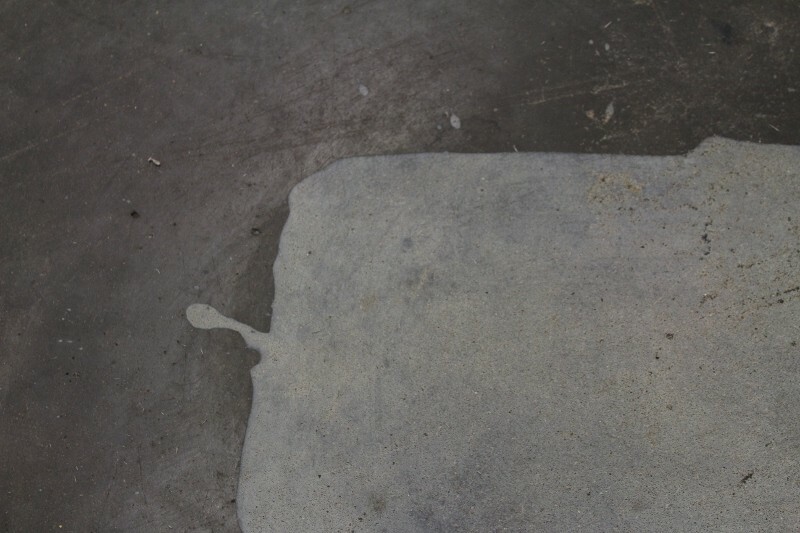 It is particularly suitable as a safer alternative to Hydrochloric Acid in preparing a power floated floor to be ready for painting. Apply the product liberally – a low pressure hand spray can be used for large areas and particularly for vertical surfaces. Allow the product to work for 5 to 60 minutes (do not allow product to dry out – re apply if necessary). Agitate with a stiff brush and whilst still wet thoroughly rinse off with clean water. Use a pressure washer on larger areas or very porous substrates to achieve best results. Re-apply if contamination persists. Cleanup - Product is 100% biodegradable and does not normally require specialist ‘neutralization’ prior to thoroughly rinsing off. 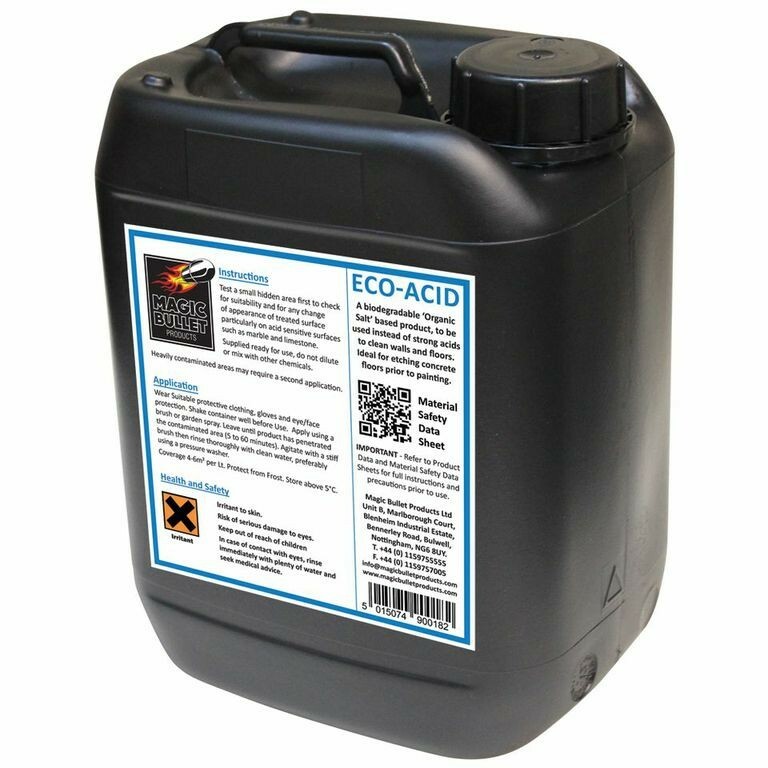 As with all our products we strongly recommend you carry out a small discrete hidden sample application to test the suitability of our Eco-Acid for your particular use. 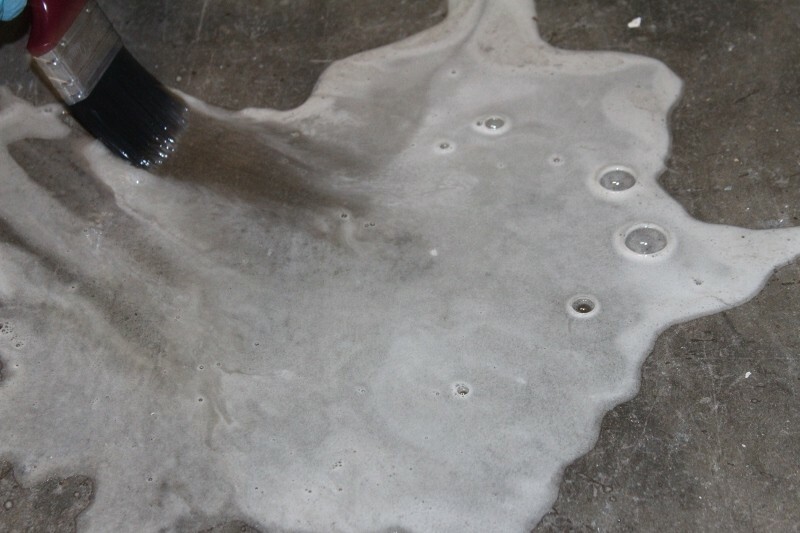 *When Eco-Acid is used on non-alkaline surfaces it may require ‘neutralising’ using Magic Bullet Products Multi-Surface Cleaner Degreaser prior to disposal.